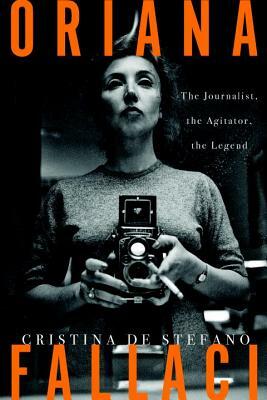 A landmark biography of the most famous Italian journalist of the twentieth century, an inspiring and often controversial woman who defied the codes of reportage and established the "La Fallaci" style of interview. As a child, Fallaci enlisted herself in the Italian Resistance alongside her father. Her hatred of fascism and authoritarian regimes would accompany her throughout her life. Covering the entertainment industry early on in her career, she created an original, abrasive interview style, focusing on her subject's emotions, contradictions, and facial expressions more than their words. When she grew bored of interviewing movie stars and directors, she turned her attention to the greatest international figures of the time: Khomeini, Gaddafi, Indira Gandhi, and Kissinger, placing herself front and center in the story. Reporting from the front lines of the world's greatest conflicts, she provoked her own controversies wherever she was stationed, leaving behind epic collateral damage in her wake. Cristina De Stefano is a journalist and writer. She lives and works in Paris as a literary scout for many publishing houses in the world. Her books, Belinda e il mostro. Vita segreta di Cristina Campo (Adelphi 2002) and Americane avventurose (Adelphi 2007) have been translated in French, German, Spanish and Polish.